After a blistering rally in gold prices since mid-December, the precious metal is finally gearing up for a bull market run. And you can double your returns with my simple strategy. That rally vaulted gold from $1,237 to almost $1,300 – a 5% gain in a month. 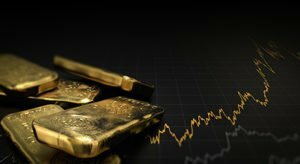 Over the past week, the price of gold has traded in a range between $1,280 and $1,297 as the metal consolidates, digesting its recent gains. Recently released Fed FOMC December meeting minutes revealed that committee members have become increasingly uncertain about the timing of future rate hikes. That caused further weakness in the dollar, helping oil regain $51 per barrel after hitting a Christmas Eve low of just under $44. And speaking of the dollar, it's looking increasingly challenged as rate hikes are in doubt. At the same time, other large central banks like the ECB are suggesting the possibility of initiating their own series of rate hikes later this year. That has the euro attracting capital and competing with the dollar. Meanwhile, technical price action has helped confirm the start of a new gold bull market. The price of gold has essentially gained no ground over the past week after moving within a $17 range. Nonetheless, that's still impressive if you consider that the major U.S. stock indexes were up significantly over the last five trading days. 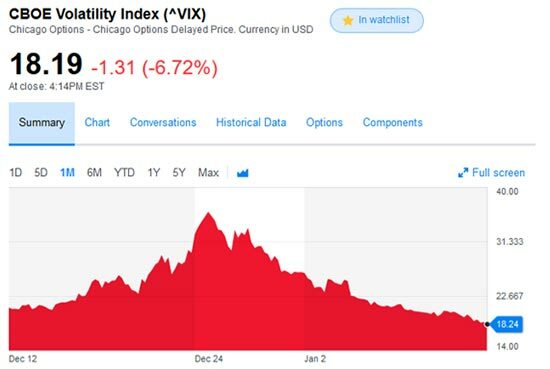 And after the VIX volatility index peaked on Dec. 24 and then proceeded to get cut in half, gold continued to rise on the back of uncertainty. While gold's been competing with rising stocks and oil prices over the last few weeks, it's still managed to rise and then hold those gains. 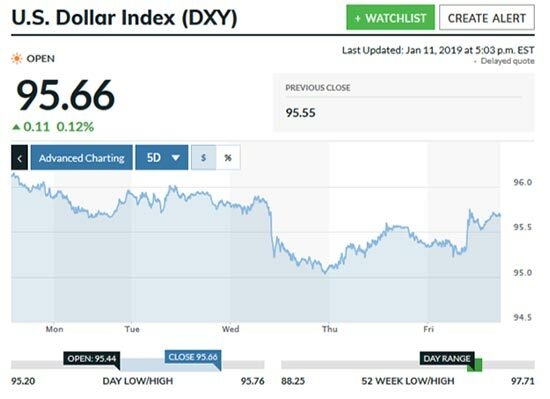 The U.S. Dollar Index (DXY) held steady from Monday until early Wednesday around 95.8, then slipped to test support at 95 late Wednesday (Jan. 9), before clawing its way back on Thursday (Jan. 10), then ending Friday (Jan. 11) near 95.7. Despite this late-week bounce, the dollar's downward trend seems to be getting increasingly entrenched. And that should be great for gold. 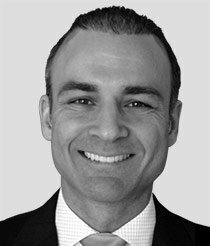 Potential investors need to know "if you own it, you need to hold it." This is gold trading on paper only and may not represent actual gold which may not exist.